To save time and money when you travel to Cebu, Philippines, itâ€™s best to know beforehand where you plan to go and what you should do. Why waste money visiting sights that are of no use to you when you can go directly to travel spots that are highly interesting in your eyes? We are very much aware that time is precious and to make your Cebu trip can be as memorable as possible, here are several suggestions on where to go once you land in Cebu, Philippines. Festivals in the Philippines are always filled with noise and laughter as well as colorful and elaborate displays of whatever it is that the people are celebrating for the time being. When you get to Cebu, youâ€™ll find out that the cityâ€™s most important social event, the Sinulog Festival, is naturally no exception to the rule. If you want to participate in this great tradition, make sure that your Cebu travel shall be sometime near to the third Sunday of January! What do you want to see if you had the chance to surf the deep blue waters of an island? Could it be beautifully preserved corals and rich marine life? Well, if these are what youâ€™re looking for then look no further because Mactan Island is the place that your scuba loving heart has been looking for all her life. Are you tired of the usual white sand beaches that youâ€™ve been going to the past few summers? Are you fond of having picnics or taking bath in natural marine habitats other than the beaches weâ€™ve been talking about earlier? If so then you might want to take a chance on the Nonoc Cave because it can offer all those wishes and more to come true. Although its name is translated to â€œUnfortunate Christmasâ€ in English, thereâ€™s nothing unfortunate if and when you experience the beauty that the white sand beaches that the island has to offer. Malapascua Island is popular to tourists who love to swim and snorkel. To get to Malapascua Island, you have to travel to the north of Cebu for three hours. 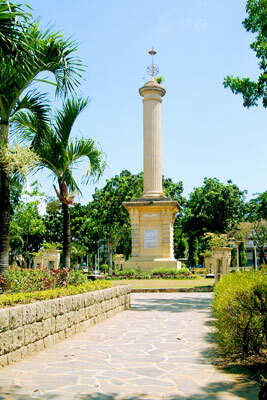 Never leave Cebu behind without letting your eyes set on Magellanâ€™s Cross, one of the most memorable and historical sites in the country. Because people started removing pieces of the cross when they believed that the cross has some magic in it, a kiosk was formed to prevent more damage from being done.